What do you want to understand better about photography? Discussion in 'Photography' started by JohnRice, Sep 24, 2017. Thanks for the follow-ups. You’ve both given me a lot to think about. It is much appreciated (Man: I can only imagine how much time you took analyzing those images and composing that post.). I’ll be back with a response when I get a few minutes—in the next day or so. I’m just knee deep in some stuff right now. I gotta admit—I’m getting pretty excited about the idea of the upgrade. It’s kind of like HT upgradeitis, right?!? One of the things about upgrading to the 80d would be that it’s sensors would likely allow me faster shutter speeds, right, given identical situations? When I was shooting film on my Olympus OM-10 I used shutter priority (if I understand that term correctly). I loved that. Since I’m still typing, I can tell you that my lenses IS have been set to on. Some of the other settings I’ll need to check on to respond. Thanks again. I’ll be back soon. I must not know what I'm doing, either, because I rarely shoot my lenses wide open. I shoot a lot of landscapes, so closing down the lens for more depth is my usual technique. I'm usually somewhere around f/8 - f/11. The lens gets opened wider when it makes sense based on what I'm shooting, not just because I can. Oh, and I tend to prefer shooting in aperture priority mode (Av in Canon speak), not manual. Call me a heretic, burn me at the stake, whatever, but since I'm usually mostly concerned with controlling depth of field, it just makes sense to me to shoot that way. Whether you add exposure compensation via Av or under/over expose in manual to compensate for any camera meter readings, it doesn't really matter if you arrive at the same, correct exposure. Scott, seriously, I've run into situations where someone was shooting landscapes with a (for example) 20mm f/1.8 who refuse to shoot their landscapes at anything other than f/1.8. Even with a 20mm, the depth of field at f/1.8 is pretty slim. they tend to focus in the center of the frame, all the time, so the foreground and sky are out of focus. I've started calling these two related Nikon forums The Anti Depth of Field League. As far as manual exposure, if you always shoot with the lens wide open and just adjust your shutter speed to what the meter says, that's no different than shooting aperture priority. I know photography tends to be equipment centric, but it's a lot worse than I realized. Mike, I completely agree with Man that the main problem seems to be camera movement. It think it's the fourth dog pic in particular you can see a sort of double image, rather than just softness. That's camera movement. I'm learning that poor camera handling is the cause of most "focus" problems. That and the fast lens/shooting wide open dilemma I was talking about earlier. The higher resolution and better cameras get, the more poor handling shows up. Pressing the shutter should be so subtle that it's imperceptible. I think a lot of people punch the shutter. I don't know about anyone else, but on photo forums I see endless talk about focus corrections. I have NEVER come across a situation where a lens was demonstrably, repeatably focusing in the wrong place. Maybe it happens, but I have never seen it. A camera with a newer sensor will allow you to use a higher ISO in lower light situations without too much noise. That, in turn, will allow you to use a faster shutter speed in those situations. For example, my firs camera was a Rebel XT, and it's highest ISO setting was 1600, but anything over ISO 800 had more noise than I found acceptable. With my Canon 40D, I would push it to ISO 1600 without issues. With my current 5D3 and 7D2, I have no qualms about shooting at ISO 6400 if necessary. Yes, I see people in the Canon forums like that, too, who refuse to use their lenses at any aperture other than wide open. I always thought that was ridiculous, too. I'm attempting to tell a story with an image. Sometimes that story requires a great deal of the frame to be sharply in focus, while other times it requires very little depth of field. Same with shutter speeds -- sometimes I need a very fast shutter speed (birds in flight, whale watching, etc. ), while other times I want a very slow speed (blurring moving water, etc.). Today I came across this Ted Talk by one of my favorite college professors, Andrew Davidhazy. For a total photo wonk like me, the stuff I learned from him was like play time, but it can be a little dry, if you don't find it interesting. Very techy and he's not a smooth public speaker. Most people probably aren't aware of cirkut/slit/moving film photography. It also brought me to this other video about his part in analyzing photos related to the JFK assassination. There's a brief mention of Dr. Leslie Stroebel, who was also one of my professors, and is the person who literally wrote the book on view camera technique. Scott Merryfield and ManW_TheUncool like this. But yeah, developing (and maintaining) better technique w/ the shutter button makes a big diff. That issue (of punching the shutter) definitely sticks out for me of what I remember of taking the occasional vacation snapshot w/ my father's old film rangefinder back during my early adolescent days... although I didn't get the benefit of immediately see the results as we can now w/ digital. I have not felt the need to adjust the micro focus setting of any of my lenses with either of my bodies that have the feature, either. I know some people on the forums are obsessed with dialing in the micro focus parameters, but my lenses seem to be fine. This is some tough stuff to hear, fellas. I won't deny it. But, honestly, I am thrilled...because I just want to get better. When I was a teen, my dad often took me to sight-in the family's hunting rifles. I learned then about the concept of softly squeezing a trigger. It kills me to think I'm the one directly responsible for screwing up so many images lately. It seems like more of a recent phenomenon for me...but maybe I'm getting careless. I don't know. Would it help me to change the AF setting to AI Servo (or AI Focus)? 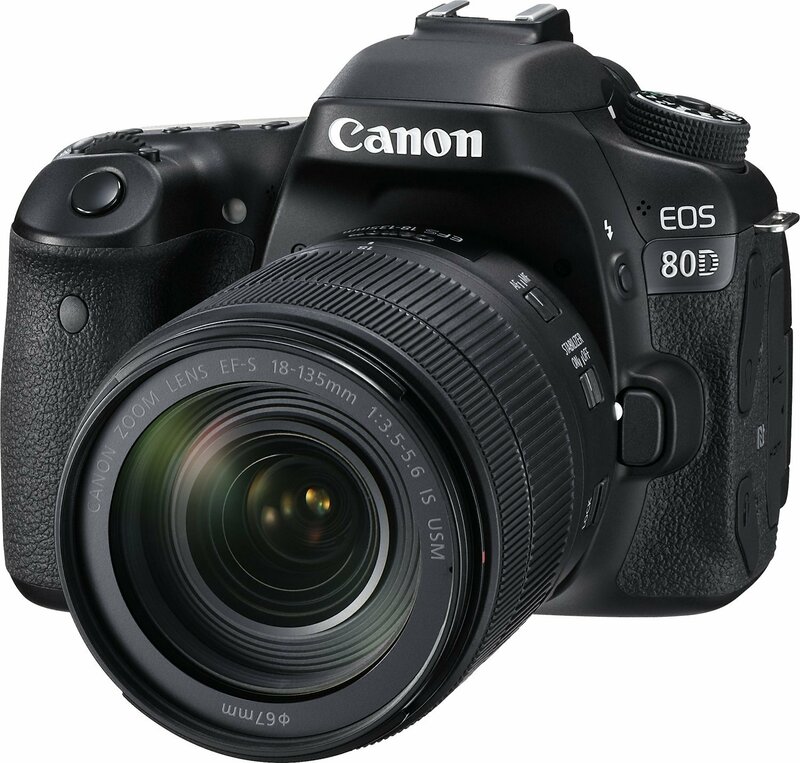 I still am damn excited about the idea of an 80D. I've already looked at books on Amazon about the camera--figuring I'll get one and force myself to learn and understand its features. I've already downloaded the owner's manual, too. Mike, I expect you don't want to combine One Shot AF and continuous shooting. That might actually be part of the problem. You've probably had this suggested, and it takes some adjusting to, but once I tried it, I was hooked on back-button focus. Separating the shutter from the focus eliminates most of the things that always annoyed me about AF. It's awkward at first, but I took right to it in a short time. Don't feel bad. When I look at photos on these Nikon forums, I swear 90% or more of the "my pictures aren't sharp" problems are due to camera handling. I've been doing it so long, it's second nature. Plus, it's always possible the problem is something with the camera. I just moved my AF to my AE/Lock button on the back of my Rebel XS. I don't use continuous shooting hardly at all, so I don't think the AE being moved to the Half-shutter function will have any impact on me. Mike, just a suggestion, but if you are using back button focus, I'd set the AF to continuous. Then when you want it to stop focusing, you just let go of the AF button. Maybe you have it that way already. I had to find an online article about how to set the back-button focus. 1 – Choose this to use the AE-Lock button to control focus. Press the button to drive focus, release to stop focussing. As you will also press the shutter then the exposure lock happens as you pass through the “half press” to take the picture. This will mean that each frame in a sequence taken using continuous shooting will have the same exposure settings. 2 – Back button focus with a difference, you press the AE-Lock button to stop focus. This can be used to pause the AF if you are using AI Servo AF. 3 – AF is still controlled by the AE-Lock button, but the half-press position of the shutter button doesn’t lock the exposure, so each frame in a sequence may have different exposure settings. Back button focus is popular since it allows the photographer to use AI Servo focus mode all the time, even for static subjects, where you press to focus, then release the AE-Lock button and recompose the frame. I set my camera to Option #1. Do you see what you are suggesting in one of the other options? Should I switch to AI Servo for my AF? Mike, personally I would choose #3. The focus mode is a separate option. You would set that to continuous (on Nikon it's AF-S for single, and AF-C for continuous) so, servo sounds like an option. Then you probably also have an entirely separate option for the focus area. What's complicated about that? I never liked single focus, because what that does is once it decides the photo is in focus, it stops focusing. That never made any sense to me. With back button focus, you probably don't want it to do that. Once your subject is in focus, you either take the photo, or shut off AF by releasing the button. If you want to follow a moving subject, you just keep holding it down. I kind of just rephrased the final sentence in what you quoted. You'll notice that last sentence is passively saying you always use back button focus with servo focus mode. Give back button focus a try, but don't be too worried if it feels cumbersome. I have tried it a few times, but still prefer the traditional half-press of the shutter release to set focus. I use my thumb on the joystick (your Rebel doesn't have one) to move the focus point, and it's ackward for me to use it for back button focus, too. Oh, and P mode isn't much different than auto mode. The camera is still choosing your aperture, shutter speed and ISO for you. You really should move to a mode where you are controlling your exposure settings instead of letting the camera make the choices. I have mentioned it before, but I really recommend the book "Understanding Exposure" by Bryan Peterson. It's available on Amazon. The book does an excellent job explaining the three legs of the exposure triangle and how each affects your photo. Back button focus against the world! Brian L and Scott Merryfield like this. It is now in my Amazon cart, Scott. Thanks for the suggestion. It will take the fear out of moving from the point and shoot modes to the creative modes of your camera." ManW_TheUncool and Scott Merryfield like this. LOTS of research. Lots of shopping. Lots of reading. Merry Christmas (and Happy Birthday--in March) to me! Scott Merryfield, Sam Posten, ManW_TheUncool and 2 others like this. Did you go w/ that 18-135 IS USM as well? You might also find a need for new bigger, faster SD card depending on what you already have.